InCarto | Today cartography, tomorrow the world. Map. There are polling maps all over the place, but not many show how the polling has changed over the course of the last few weeks leading up to the election. Maps.com has created for our Maps101 subscribers a polling map that can be used in the classroom – or anywhere – to view how the race has evolved in the run up to election date tomorrow. Maps101’s Election Center also include interactive primary maps, congressional district maps, election-focused infographics and Geography News Network articles. In 2012, 160 counties cast about the same number of votes as the rest of the country. But, your run-of-the-mill election map won’t show you that. Because electoral votes are based on voting population not land area, maps of election polls and results often provide a misleading view of the data. When mapped to a standard cartographic projection, the map will over emphasize the states with fewer electoral votes per square mile and underemphasize the high density areas. This is especially notable in the Northeast where high population with large amounts of electoral votes are diminished visually by the state’s small geographic size. When looking at an election map to see proportionality, perhaps a cartogram would be better suited. Six months after Czechia was adopted, citizens of central European country seem in little doubt over what it should be called. The locals aren’t buying it. Czech Republic is still the official long form, and Czechia is meant as something of a short and informal nickname, like “the US” or “Britain.” As far as mapping goes, our team of crack cartographic editors think we should stick with Czech Republic for now because it’s not “wrong” and we can always switch over if Czechia-mania sweeps the world. The authoring team includes: Brandon Gillette, Perri Carr, and Roger Palmer. Maps were created by authors and Maps.com. We are pleased to announce the public field testing of the fourth GeoInquiry collection, GeoInquiries for Grade 4 Interdisciplinary. 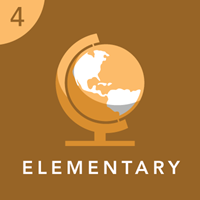 This collection is targeted at upper elementary classrooms and includes 15 cross-curricular activities supporting integrated science, social studies, math, and language arts with Esri’s ArcGIS Online Web-based mapping platform. GeoInquiries are short, standards-based inquiry activities for teaching map-based concepts found in commonly used textbooks. Using an inquiry instructional model, GeoInquiries integrate ArcGIS Online technology to support subject matter content teaching. Lessons include learning objectives, technical “how-to’s”, textbook references, and formative whole-class assessment items – all packed into one page. These activities are technology agnostic and can be delivered in a classroom with as little as a tablet and a projector. Any teacher can use a GeoInquiry, regardless of their prior experience with digital mapping tools. The authoring team for this collection includes: Mellissa Thom, Michael Wagner, and Anita Palmer. Maps were created by authors and Maps.com. Applying our expertise in the development of content for instructional products and continuing our commitment to developing products and content to engage learners and enhance achievement, Maps.com has created maps and data layers appropriate for use by teachers and students in the classroom. These data layers will be held and maintained by Maps.com and are available for use in other products, from interactive maps and apps to textbooks and atlases. Previous collections include High School US History and AP Human Geography. Stay tuned for the next collection: Advanced Environmental Science, coming very soon! Intrigued by this technology and the data behind it? Want to learn more? Just give us a call, we’re here to help. If you are in the Denver area on Tuesday, June 14, 2016, please join us as the International Map Industry Association will be hosting a MeetUP from 1:00 p.m. – 5:00 p.m. at the National Park Service offices in Lakewood, CO, just west of Denver. Maps.com Director of Education and President of IMIA Americas, Bennett Moe, will be attending the International IMIA MeetUP in Denver on June 14. There will be ample networking time and this will be a great opportunity to meet and discuss mapping industry-related business with him, including how Maps.com continues to iterate on its leading cartography and geo-spatial application development in education and commercial sectors. IMIA Americas MeetUP will be hosting a pair of panel discussions. Brian Fox will be hosting the first panel, focused on the various efforts underway in the Federal government to bring data together and make it available to government, industry partners and the public. Fox is currently the Systems Development Branch Chief for USGS’s National Geospatial Technical Operations Center (NGTOC) where he oversees development activity in support of The National Map. Efforts are currently underway to consolidate and improve geospatial data throughout the Federal Government. Land management agencies are actively bringing together data from their various local and regional offices, while the USGS is making some of this data available through The National Map. These efforts are helping to improve the quality and access to geospatial data. This panel will allow those attending the IMIA Denver MeetUP to better understand the data that is current and what will be available in the near future from various agencies of the Federal Government. IMIA Americas invites you to attend its first MeetUP on Tuesday, June 14, 2016 at 1:00 p.m. at the National Park Service in Lakewood, Colorado. The MeetUP will provide an opportunity for leaders in the mapping industry to meet, network and be an active part in topical discussions and presentations. Registration is complimentary for IMIA members and for non-members the registration fee is $40. Registration is required for all attendees prior to the event. Click here for the registration form. For more information about the IMIA Americas MeetUP, please click on:http://imiamaps.org/meetup-denver. It’s Friday! Well, it is for me right now this afternoon in Santa Barbara, but for almost half of the planet, it’s already Saturday. As midnight sweeps around the world, a new day comes into being, and the process starts as midnight crosses an entirely arbitrary line in the Pacific – the International Date Line. Unlike 0 degrees, the line of longitude that goes through Greenwich, England, the Date Line is a very crooked boundary indeed. More or less directly opposite the Prime Meridian, it bends this way and that in order to allow various island nations and island groups to be unified on the day of the week they’re observing. There are no World Government rules about the placement of the International Date Line. If an island nation feels sufficiently strongly for reasons of trade or location to redefine the line in relation to their position, they can do it autonomously. Of course it’s not a small decision, so it doesn’t happen often or on a whim. One of the more unusual changes came at the end of the 20th century when the island group nation of Kiribati bent the line far to the east so that its easternmost island outpost would be the first to see the sun rise on the new century. Not long ago, Samoa decided to push the line to its east in order to share the same working day as Australia and New Zealand, their biggest trading partners. Tokelau also went along with them to the new day, and in the process each lost December 30, 2011. History will record that nothing whatosever happened on those islands on that day because for them, it never existed.